Home Christian Feminism Basics Being a Feminist or Being a Christian—Must I Choose? Being a Feminist or Being a Christian—Must I Choose? 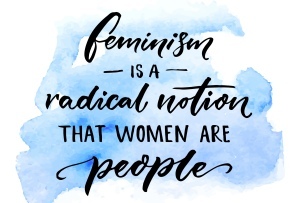 I must have been born a feminist—can one be something without knowing its name? Even as a toddler, my mother said I would rarely cuddle up on her lap but kept sliding off to explore the next new thing. My earliest memory of girlhood rebellion concerned climbing trees. In our mid-20th century Mennonite community, girls and women did not wear pants. It is not easy to modestly scramble up tree branches and skin-the-cat in a skirt. Though I did these things anyway, I considered it grossly unfair that girls were handicapped in a way boys were not. Reading in trees or behind the living room furniture was my method for escaping housework. It didn’t always succeed, but my mother often concluded it was harder to get me to do some task than to do it herself. With four children on a farm, it seemed like Mom was working all the time and always worried about money. I resolved never to get married and have a family if all it meant was drudgery! In junior high, gender education mandated shop for boys and home economics for girls. Why couldn’t I take shop instead? I sabotaged the skirt and blouse we were making in home ec., horrifying my seamstress mother. In high school and college during the 1950s and early 1960s, I played every team sport available: softball, basketball, Ping-Pong, volleyball, field hockey; plus roller and ice skating. Sadly, however, these were the days before Title IX and equal sports opportunities for girls and boys, so it was never enough. One Sunday afternoon, at the Mennonite college I attended, some of us girls organized a pick-up softball game. We had barely gotten started when our very conservative phys. ed. teacher rushed onto the lawn and forbade us to continue because it was Sunday. I still resent that—would she have done the same if we’d been a bunch of guys? My adult conversion to feminism came in April, 1973. My husband and I and our baby son were living in Munich, Germany, while Tom wrote his dissertation at the university. We spent a low-cost vacation in a lovely rural area of Germany, staying in the home of a Mennonite missionary whose name I no longer remember. I had married a non-Mennonite and for several years had little direct connection with my denomination. But this woman had saved a pile of Gospel Heralds, our weekly church paper, so I began reading. A one-page article called “Woman’s Place” caught my eye—a stinging indictment of the way women’s roles have been limited in church and society. I was impressed. Maybe my denomination was ahead of the game when it came to gender equality! Then I began reading the irate letters to the editor in the following issues. Who did this young writer think she was, challenging the very scriptures themselves? That did it. I had to find out the truth. Did the Bible really limit women as those letters had insisted? Would I have to choose between being a Christian and being a woman? During that spring and summer, I searched the Munich University library for books in English about women and gender roles, especially on biblical interpretation. The result was two articles, both of which were later printed in the Gospel Herald: “A ‘Woman’s Place’ Is in Christ” (1974), where I used the Gospels to show how Jesus related equally to women and men, and “Who Does the Dirty Work in the Kingdom?” (1975), a reflection on the story of Mary and Martha and the issue of housework. Then the irate letters were directed towards me! We had returned to the States that fall, and I joined a secular women’s consciousness-raising group and began catching up on the feminist literature that was exploding during the 1970s. By this time we had two sons; my husband was teaching at Eastern Mennonite University; and I was home changing diapers and gradually becoming “radicalized.” Our subscription to The Other Side magazine was feeding my hunger for justice in many areas. In one issue, I caught a small ad for a new newsletter about “Christian feminism.” It was called Daughters of Sarah and offered a one-year, six-issue subscription for $2. I sent my money in the next day. Here was the thoughtful, Christian equivalent to the secular discussion of women’s liberation. I was on board! In early 1975 a college friend, Helen Lapp, introduced me to an upcoming conference of the Evangelical Women’s Caucus in Washington DC that spring. We registered and roomed together. It was EWC’s first conference—the most exciting one I’ve ever attended because it was all so new. Helen kept an eagle eye on Elisabeth Elliot, a reporter and former missionary who represented the traditional view of gender roles. She was sure Elliot would do her best to skewer this fledgling organization in whatever conservative publication she represented. I was more intrigued with presentations by Virginia Mollenkott and a female editor from Christianity Today who talked about “How I Met My Single Life.” I also met Lucille Sider Dayton, the editor of Daughters of Sarah, and told her we might be moving to Chicago, where the newsletter was produced. She promptly invited me to the group’s monthly meetings. We did move to Chicago in 1976, and I attended my first meeting of the Daughters, despite a bout with the flu. They wasted no time assigning me “book review editor” and “office worker” one day a week at the office in Lucille’s basement. With no journalism training, I eventually ended up editor of Daughters of Sarah until 1994. The best part of it was sharing life with the energetic, intelligent women I worked with during those 18 years. Our common feminist passion bridged diverse religious backgrounds. Besides evangelicals and mainline Protestants, I found treasures among Catholic, Pentecostal, Seventh Day Adventist, and Jewish women. Our readership expanded my ecumenical horizons even further. A second perk was the way DOS brought together three passions of my life: feminism and justice issues, the Bible and biblical interpretation, and the opportunity to write and edit about them. 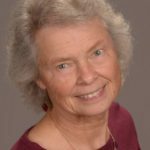 Feeling I never knew enough, I gradually returned to school, sweated through to a Ph.D., and for fourteen years have been trying to educate a younger generation in biblical interpretation and Christian feminism. I am so grateful I never had to choose between being a woman and being a follower of Jesus. LOL. I enjoyed reading about how passionate you were in your pursuit of reconciling feminism with Christianity while living in a traditional role. I am right there now. Feeling quite alone right now! Return to the Christian Feminism Basics archive page by clicking here. What happens in the life journeys of some Christian women and men that leads them to embrace the egalitarian concepts of Christian feminism, while other Christians live their lives convinced that the Bible teaches a hierarchical, patriarchal, “complementarian” view of gender? 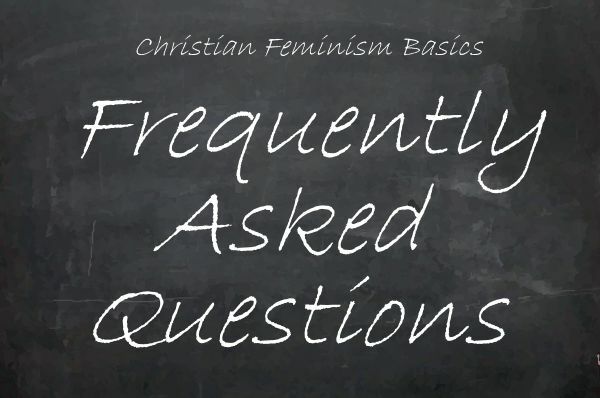 And there's even more about Christian feminism and Christian Feminism Today on our Frequently Asked Questions blog. Click here.